The advent of the Internet and the widespread use of smartphones have disrupted many sectors, including training. For both university and vocational training courses. What are these innovations in training that digital has brought? Here are the most recognized. To recognize the innovations brought about by the Internet in the world of training, it is enough to see how employees now acquire their new skills. They consult the Moocs and follow mobile training courses to find the ones they need. They also proceed to assimilate a particular module without having to learn the entire course. The trainers also have new materials at their disposal, without having to travel. This is particularly the case with the popularization of MOOCs or Massive Open Online Course, online training for all, as they are delivered at a distance. If Internet users have adapted very quickly and become fond of it, it is because they remove the constraints of face-to-face training that requires them to travel. They save them time and money in tuition and other related expenses. They can therefore work and at the same time follow promising training courses for positions at a higher level. This popularization of the Internet leads to another innovation: the use of new high-tech materials, which trainers use to facilitate their training sessions in a more entertaining way: virtual reality, voice recognition, etc. It makes it possible to simulate a difficult situation whose resolution requires precise knowledge. For example, for training in fire suppression techniques without starting a fire. By simulating a similar situation in virtual or augmented reality, firefighter apprentices learn new and more effective methods. Speech recognition, pronunciation and syntax editors are very useful for learning a foreign language. The chatbot is also a tool that promotes learning. It complements the e-learning training tools, where its role will be to follow-up the learner in order to follow him/her as his/her training progresses. This is the role of the chatbot developed by Alexandre Stopniki, the educational director of the MBA MCI of the Leonard de Vinci Institute. The same is true for other innovative tools that trainers use for their presentations to capture the attention of their audience. The various existing applications are mentioned, the use of which is increasing significantly at certain times of the day. Employees do indeed immerse themselves in it, especially during break times or when they return home on public transport. Existing communication channels are also available, such as e-mail, SMS, instant messaging, etc. Thanks to them, trainers and apprentices can exchange ideas, ask questions, answer them, in short, everything that is usually done in a traditional classroom training. For students, their smartphones become learning tools, bringing them the desired training. They also use it to assess their learning. One of the innovations in training provided by the Internet is the possibility for Internet users to train anywhere: at home or during their break from work. And face-to-face training becomes an option that sometimes serves as a complement, unlike what was done before. It would be a mistake to think that digitization could threaten its future or usefulness. Indeed, even if distance learning or e-learning is an immense success, nothing beats face-to-face to assimilate important information. 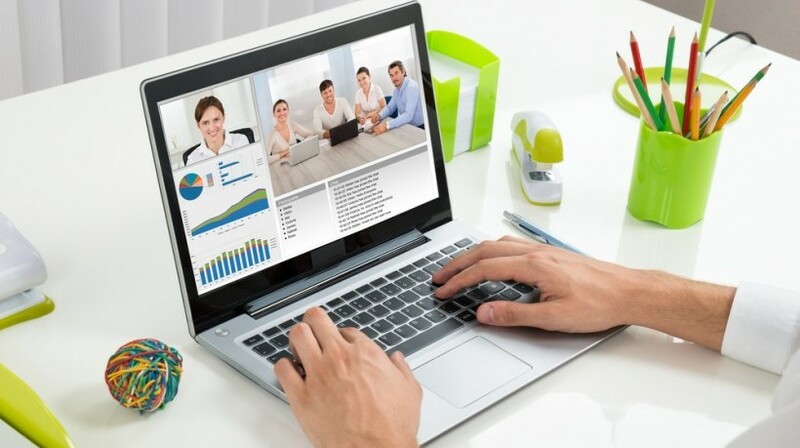 Distance learning is therefore complementary to classroom training and is essentially used to acquire knowledge or assimilate technical data sheets under better conditions. If the evolution of the Internet continues, innovations in training will also continue to achieve other goals. We already know that digital marketing has transformed the classic pedagogical model into connectivism. He also changed the way the courses were followed in connection navigation and made it essential for both parties to exchange ideas. But it does not guarantee the obtaining of certificates of success, as the Internet user assesses his or her own level. This is why face-to-face training remains essential for professional needs.